Dr. Hyo Sang Lee received his Bachelor's degree in Physics from Seoul National University in 1970 and his Master's and Ph.D. degrees from Lehigh University in 1976 and 1980 respectively. He is an expert in the area of lasers and electro-optical system development, medical optics, and lidar remote sensing. He formed SES in 1990 and since then has been involved in the strategy, development, and operation of a complex, multidisciplinary business. SES business involvement covers various activities for government customers including DOD, NIH, NASA, NSF, and various commercial activities. 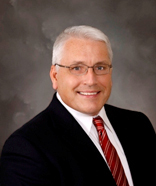 He has extensive experience working with Government customers and a number of major defense industries. He has implemented several Joint Venture businesses for large business opportunities. Besides execution and operation of the business, he provides R&D directions on various corporate R&D programs. Mr. Chunn graduated from the University of Alabama in Huntsville with a BS, Mathematics/Physics and obtained a BSE, (Mechanical Engineering Option) and a BBA, Accounting from the University of Alabama. 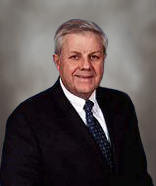 Since 1998 he has been responsible for overall planning, resource allocation, operational control, and prioritization of the various operational efforts, financial, accounting, purchasing, material control, and other areas of Corporate Management; designing and updating software accounting systems to comply with government standards; and preparing budgets, business plans and financial projections for the company. He is also actively involved in determining rate structures and negotiating contracts. He is extensively involved in marketing and program development for all of SES’s major programs and its joint ventures, and has successfully marketed for and managed the contractual and financial aspects of the Army Aviation and Missile Command’s Prototype Integration Facility’s $1.1 Billion, 10-year support contract, the C-17 Ground Support Equipment Contract with Wright Patterson and Warner Robins Air Force Bases, and many others. Mr. Sinclair holds a Bachelors Degree from the United States Military Academy and a Masters from the National Defense University in National Security and Strategic Studies. 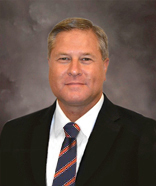 Prior to his appointment as CEO, Sinclair served as SES's COO. He joined the company following a 31-year career as an Army Aviator, retiring at the rank of Brigadier General having retired in August 2006. His final assignment was serving as the Aviation Branch Chief and Commanding General of the U.S. Army Aviation Warfighting Center, Fort Rucker, Alabama from 2003-2006. Mr. Pallotta has the authority and accountability of all aspects of SES operations, ensuring that SES delivers high value and high quality products in a responsive and cost effective manner. He received his BA in Psychology in 1979 from St. John's University where he was a Distinguished Military Graduate. He received his Master's degree in Aviation Management from Embry Riddle University in 1984 and a Master's degree from the Air War College in Strategic Studies in 2003. Mr. Pallotta was the U.S. Army's Longbow Apache Product Manager from 1998 to 2000, and the U.S. Army's Apache Project Manager from 2001 to 2005. As the Apache Project Manager, Mr. Pallotta managed all aspects of the cost, schedule, and performance of the Apache. As the Apache Project Manager, he led and managed an office of 400 civilian and contractor employees and 15 military personnel. He retired from the military in 2005 at the rank of Colonel. Mr. Pallotta is a rated Senior Army Aviator on multiple platforms including the AH-64 and has over 35 years of flying experience. Arnold Lee graduated from the US Military Academy at West Point with a BS, Engineering Physics, and earned an MBA from the Wharton School of Business, at the University of Pennsylvania. As the CFO, he is responsible for planning, resource allocation, control, and prioritization of Company resources for various operational efforts; financial statements, accounting, purchasing, controls, tax planning, and other areas of Corporate Management; designing and updating software accounting systems to comply with government standards; and preparing budgets, business plans and financial projections for the Company. He is also actively involved in determining rate structures, negotiating contracts and working with financial institutions to manage whatever short or long term instruments the company will require. 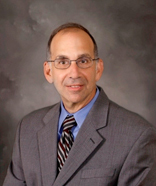 Mr. Bogosian defines SES' strategic goals and objectives; advises the owner and other senior managers on program management; and provides mentorship, oversight and professional guidance to company program managers and functional managers. He joined the company following his retirement after 35 years of Federal Service. Mr. Bogosian served the Army with Level III professional certifications in the functional specialties of contracting and program management. For over 25 years, he directly supported Army Aviation programs. After his selection to the Senior Executive Service in 1993, Mr. Bogosian served as the Director, Acquisition Center, the Deputy Program Executive Officer, Aviation, and was the Army's Program Executive Officer (PEO) for Aviation on two separate occasions. He managed the reinvestment derived from the termination of the Comanche Helicopter Program into the execution of the Army's largest Aviation acquisition programs. These programs revamped the Army's Aviation force. 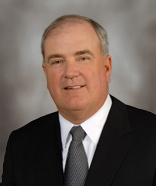 Mr. Paquette is SES' Executive VP for for Commercial Aviation and prior Senior Vice President of Aviation. He is responsible for managing the full spectrum of aviation operations at SES' hangar and support facilities, including support for ground and aircraft platform integration and reset. Mr. Paquette is a rated Army Aviator with over 25 years of flying experience. He graduated from the United States Military Academy in 1982 and holds a Master's Degree in Systems Management from the University of Southern California, as well as a Master's Degree in Aerospace Engineering from the University of Texas. Mr. Paquette joined SES following his retirement from the U.S. Army at the rank of Colonel. Mr. Paquette has extensive experience managing aviation programs including the Apache Modernization Program. From 2005 to 2008, Mr. Paquette was the Apache Attack Helicopter Project Manager for PEO Aviation. Mr. Shannon joined SES following a distinguished career in the U.S. Navy spanning more than 30 years. During his naval career, he held numerous operational, command and staff positions. He attained the rank of Rear Admiral, serving in his last tour as the Program Executive Officer for Unmanned Aviation and Strike Weapons. Prior to that, he served as the Vice Commander for Naval Air Systems Command. Mr. Shannon began his naval career as a helicopter pilot in the H-53 helicopter and held numerous squadron level positions culminating in squadron command. Following his command tour, Mr. Shannon transitioned to the Acquisition Corps and was selected to lead the Navy H-60 program office during the development and fleet introduction of the MH-60R and MH-60S. He is a graduate of the U.S. Naval Academy and holds a Master's degree from the University of Southern California. He is also a graduate of the Armed Forces Staff College, the United States Marine Corps Weapons and Tactics Instructor Course, and the Defense Acquisition University's Advanced Program Manager Course. Mr. Sherrell is SES' Vice President for business development and previously served as SES' Director of Proposals and Marketing. He manages business development efforts across the company after earlier directing all aspects of proposal submission from bid decision to award. Mr. Sherrell has a B.S. in Political Science from Auburn University. Additionally, he has an M.S. in Strategic Studies from the Air War College; an M.A. in History from the U.S. Army Command and General Staff College; and an M.S. in Personnel Management from Troy University. Mr. Sherrell was Chief of Staff for the U.S. Army Aviation and Missile Command (AMCOM) from 2010 to 2012, and has over 26 years of documented success as a rated Master Army aviator on multiple platforms. Mr. Sherrell joined SES in 2012 following his retirement from the U.S. Army at the rank of Colonel. Some of his other key positions include Aviation Brigade Commander of Task Force 49 with duty as Commander, Multi-National Corps Iraq Aviation Brigade and later, Commander, Multi-National Division South Aviation Brigade. Prior to command, he served as Deputy Legislative Assistant to the Chairman, Joint Chiefs of Staff; Battalion Commander, 1-2 Aviation, 2d Infantry Division; Special Assistant to the Chief of Staff, Army (CSA); and DoD Congressional Fellow. Dr. Hyo Sang Lee received his Bachelor's degree in Physics from Seoul National University in 1970 and his Master's and Ph.D. degrees from Lehigh University in 1976 and 1980 respectively. Dr. Lee formed SES in 1990. Since forming SES, Dr. Lee has been personally involved in all aspects of the company including the strategic direction, development, and operation of a complex, multidisciplinary business. 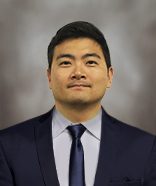 Dr. Lee’s experiences include project management, conceptual design and theoretical studies. He is an expert in the area of lasers and electro-optical system development, medical optics, and light detecting and ranging (LiDaR) sensing. 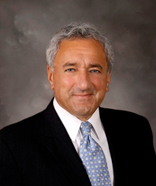 He has extensive experience working with Government customers and a number of major Defense industries. 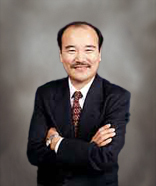 Dr. Lee implemented several Joint Venture businesses for large business opportunities. Besides execution and operation of the business, he provides R&D directions on various corporate R&D programs. He is a member of CBDAIF (Chem-Bio Defense acquisition initiatives forum) for the Chem-Bio Joint Program Office (DOD), has been a scientific review board member for NIH, and is a member of several professional societies. He has published numerous papers in professional journals and holds numerous U.S. patents. SES’s business involvement covers various activities for government customers including DOD, NIH, NSF, and various commercial activities. Under Dr. Lee’s leadership, SES has grown from thirty persons to over 650 employees. SES is a recipient of numerous small business awards, including the Tibbett Award. SES was most recently recognized in the Huntsville, Alabama publication “Initiatives” as a leader in the aircraft industry. Mr. Chunn graduated from the University of Alabama in Huntsville with a BS, Mathematics/Physics and obtained a BSE, (Mechanical Engineering Option) and a BBA, Accounting from the University of Alabama. Since 1998 he has been responsible for overall planning, resource allocation, operational control, and prioritization of the various operational efforts, financial, accounting, purchasing, material control, and other areas of Corporate Management; designing and updating software accounting systems to comply with government standards; and preparing budgets, business plans and financial projections for the company. He is also actively involved in determining rate structures and negotiating contracts. Mr. Keith Thompson is a graduate of the University of Texas where he earned a degree in Mechanical Engineering. In addition to his degree, he also completed additional studies in Business Administration. He was employed at Collins Radio Company and Texas Instruments Inc. prior to starting Recon Exploration Inc.
His entrepreneurial approach to problem-solving through the application of hi-tech solutions has focused his career on the areas of engineering design/application, defense preparedness and remote reconnaissance applications for petroleum exploration. He has founded and managed a number of private companies involved in these pursuits throughout his career, and he currently serves as a Director of several private companies and has been a member of the SES Board since its inception. General Schwartz is a native of St. Paul, Minnesota. He graduated from the United States Military Academy in 1967. He holds three master’s degrees; Education, Personnel Management and National Security and Strategic Studies from Duke University, Salve Regina and the Naval War College. General Schwartz also holds an honorary Doctorates of Law, Public Administration and Philosophy from the University of Maryland, Hanyang University and Myongji University. During a career spanning 35 years, General Schwartz served as a Chief of Staff, Combined Field Army, Republic of Korea, and in July 1992, became the Assistant Division Commander (M), 2nd Infantry Division. On October 22, 1993, General Schwartz took command of the 4th Infantry Division (Mechanized) and Fort Carson where he served until taking command of III Corps and Fort Hood on December 6, 1995. On August 31, 1998, General Schwartz received his 4th star and assumed command of U.S. Army Forces Command at Fort McPherson, Georgia, where he served until assuming command of the United Nations Command, Republic of Korea, United States Combined Forces Command, and United States Forces Korea, on December 9. 1999. General Schwartz served in this position until his retirement in May 2002. Albert (Al) L. Winn leads the consulting company WINNing Strategies LLC. He provides business and technical services to aerospace companies. Al retired from Boeing on 1 October, 2010. His position at retirement was vice president of Apache and AH-6 programs for The Boeing Company in Mesa, Ariz., home of the AH-64D Apache attack helicopter and a variety of military support programs. As the Boeing Vice President of the Apache and AH- programs, Winn led the company’s global efforts to produce and sell the world’s most advanced multi-role combat helicopter(s) to a growing number of customers around the world. 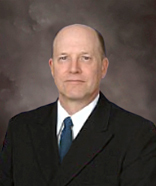 Winn, who joined the company in 1984, was named to his current position in 2001. Prior to that he was general manager Rotorcraft Engineering; vice president, Production, Engineering and Operations; vice president, Integrated Product Definition; vice president, Engineering; director, Apache Longbow Engineering; and manager LHX Technology, Flight Technology, Advanced Configuration Design, and AH-64 Product Definition. Before joining the company, Winn held several engineering and executive positions within the U.S. Army Aviation Research and Development Command and the U.S. Army Aviation Systems Command. He was responsible for engineering support of integration, design, and airworthiness qualification during the aircraft development cycle of major Army helicopter systems, including the AH-64 Apache, the UH-60 Blackhawk and the OH-58D Kiowa. He was the technical lead for the team that started the JVX, now called V-22 Osprey. He was responsible for the annual publication of the US Army Aviation RDT&E Plan, and also co-authored the first U.S. Army Aviation Modernization Plan. Winn received his bachelor’s degree in aerospace engineering from California Polytechnic State University, a master’s degree in aerospace engineering from the University of Southern California, and a master’s degree in business administration from The New York Institute of Technology. Winn is a member of the American Helicopter Society, the Association of United States Army, and the Army Aviation Association of America. He is the recipient of the Army Aviation Turk Award, and the Technical Director’s award for flight test excellence, the Department of Defense Meritorious Service medal, the McDonnell Douglas President’s Award, American Helicopter Society Fellow, the United States Government Hammer Award, and the Army Aviation Association of America Order of St. Michael. In his service to the community and involvement with professional associations, Winn was/is affiliated as an advisor to the Department of Engineering at Embry Riddle Aeronautical University, the University of Arizona, Arizona State University, and Northern Arizona University. Winn was also a member of the Board of Directors for the Arizona Business and Education Coalition as well as an advisory board member of Executive Service Corps of Maricopa.